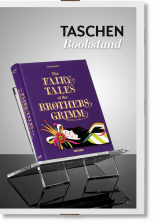 The perfect way to give your favorite TASCHEN books the pedestal they deserve! 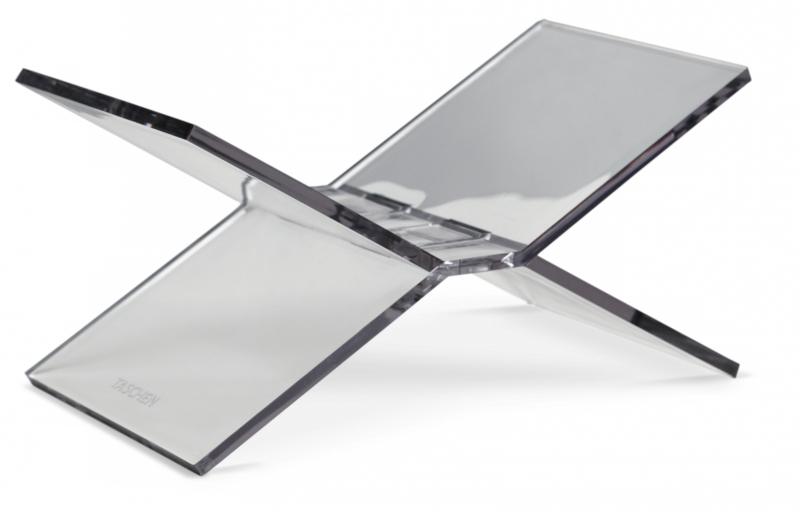 Clear Acrylic bookstand, 5.9 x 13.8 in. 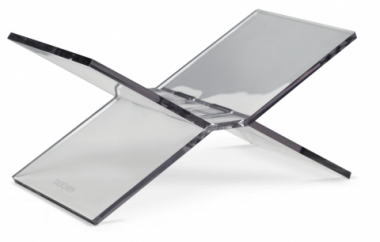 The glasslike acrylic transparent structure is sturdy enough to support our XL-sized books (excluding horizontal format books and Collector’s Editions) and folds flat for transport or storage. 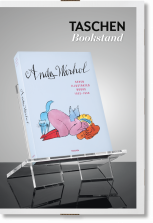 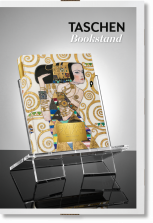 It’s the perfect way to give your favorite TASCHEN books the pedestal they deserve!